can get the effect of light moving along the stairs. 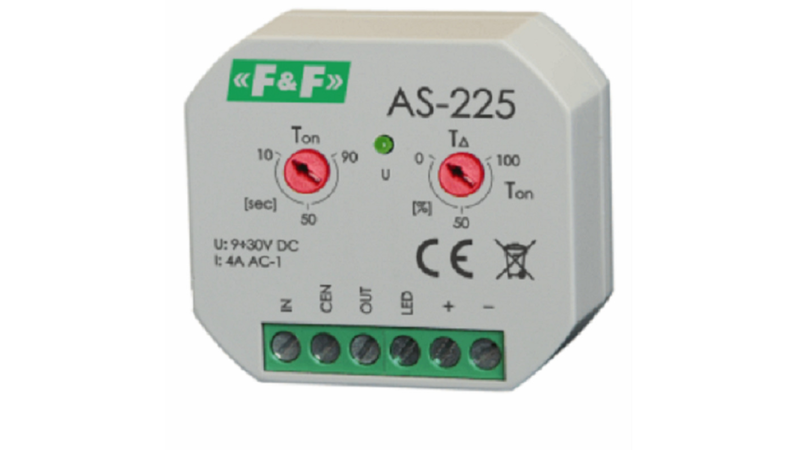 Issuing of the command is done potential-free by connecting the IN/OUT input with the - level of power supply. * simple installation - only 3 wires from the controller to the controller. button), the sequence is reversed - lamp number 5 will be switched on as the first one, the number 4 etc.